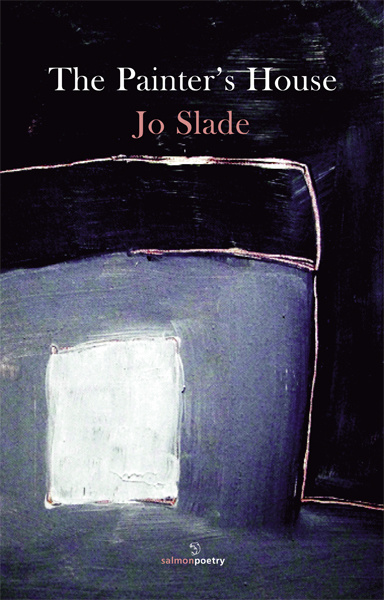 Joint Winner of the 2014 Michael Hartnett Poetry Award, The Painter’s House is Jo Slade's fifth, full-length poetry collection. In 2010 she published a chapbook, The Artist’s Room (Pighog Press,Brighton UK 2010.) In her latest collection of poems, Jo carries on the theme of “who is seen and who is seeing?” (Fanny Howe, 2010.) She traces identity through language and the image, from her experience of displacement and difference to a life lived in the presence and practice of art. It is through 'seeing' and an instinctive sense of the importance and transience of the details of eye and ear that her poetry evolves. Shifts of season are deeply felt as reflections on loss, the passing of time and the stillness at the heart of being. There is also in these poems an elusiveness, a searching, a “slow meditation of vision” (Maeve Kelly, 2011) that demonstrates a quest for a deeper understanding of the essential things. From the first poem in this collection, ‘Time-Piece’ to the last, ‘Today’, Jo Slade takes us on a journey through time and reminds us of the value of intuition, of finding individual expression for our experience of being in our mysterious, often chaotic world. Jo Slade was born in Burkhamsted, Hertfordshire, England and educated in Limerick and Dublin. She is the author of four collections of poetry: In Fields I Hear Them Sing (Salmon Publishing 1989), The Vigilant One (Salmon Publishing 1994), which was nominated for the Irish Times/Aer Lingus Literature Prize; Certain Octobers (Editions Eireanna, Quimper France, 1997), a dual language English/French edition, which received a publication bursary from the Centre du Livre, Paris, France; and City of Bridges (Salmon Publishing 2005). A chapbook of poems, The Artist’s Room, was published by Pighog Press, Brighton, UK in 2010. She was nominated in 2003 for the Prix Evelyn Encelot, Ecriture Prize, Maison des Ecrivains, Paris. Her poems have been translated into French, Spanish, Romanian, Russian and Slovenian. 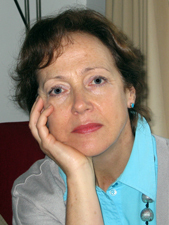 Her work has been published in journals and anthologies in Ireland and abroad. In 2002/2003 she was Poet-in-Residence for Limerick County Council and in 2007 she was Writer-in-Residence at the Centre Culturel Irlandais, Paris, France. She is a painter and has exhibited her paintings in Ireland and France.